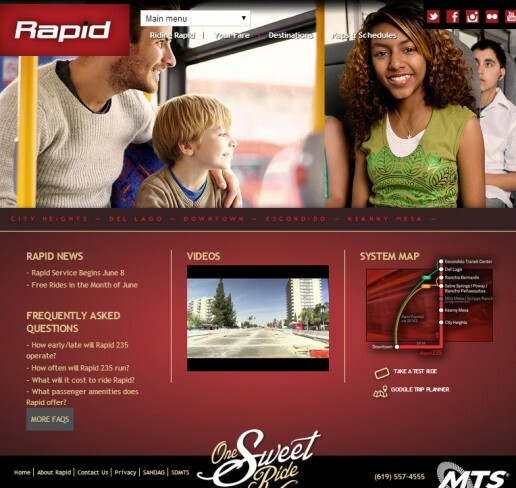 Rapid is among the first of a new breed of Bus Rapid Transit (BRT) services that SANDAG is building in collaboration with the Metropolitan Transit System (MTS). This Drupal web site features a custom responsive template. Featured on the web site are the FAQ and unique way to upload the many schedules. Sticky headers make it easy to scroll.